Philip Langdon Alger was born 27 January 1894. He was was educated at St. John’s College of Annapolis, MD (1912), and the Massachusetts Institute of Technology (B.S.E.E. 1915) and earned a MS in electrical engineering from Union College in 1920. 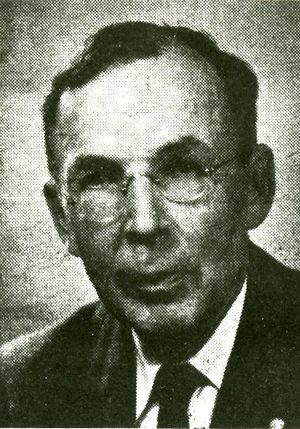 After serving as a lieutenant in the U.S. Army's Ordnance Department during World War I, he spent his entire career in the employ of the General Electric Company until his retirement in 1959, when he became Consulting Professor of Electrical Engineering at Rensselaer Polytechnic Institute. Philip Alger is best remembered for his work on induction motors and synchronous motors capable of direct, across-the-line, starting, greatly simplifying motor controls. His 1928 AIEE paper, "The Calculation of Armature Reactance of Synchronous Machines," was long a classic in the field of rotating electric machinery. A year later GE promoted him to the staff of the vice president of engineering, where he coordinated developments in electrical equipment across the company. Alger understood that, for the expansion of electrification in industry, motors must be made smaller and lighter in weight. These demands required a reexamination of many traditions in motor design engineering, which in turn required persuading many of his colleagues to break with traditional engineering approaches to motor design. Through service on committees and working groups of AlEE and ASA, he promoted better engineering of motors and helped spur the adoption of new NEMA standards in the 1940s. Motors built to those standards were quieter and more reliable than their predecessors, and weighed less than a third as much. Alger was a leader in professional engineering societies, in industry standards, in engineering education, and in local government, as well as in his technological field. He was also keenly interested in professional and ethical standards for engineers. He wrote over 100 articles as well as seven books: The Nature of Polyphase Induction Machines (1951), The Alger, Jackson, and Hubbell Ancestors (with Helen Jackson Hubbell Alger, 1962), Mathematics for Science and Engineering (with Charles Steinmetz, 1969), The Life and Times of Gabriel Kron (1969), The Human Side of Engineering (1972), Induction Machines: their Behavior and Uses (1970), and Tales of My Life and Family (1974), and co-authored Ethical Problems in Engineering (1965). A fellow of the American Institute of Electrical Engineers (now IEEE), in 1959 Alger received the prestigious Lamme Medal of the IEEE's predecessor, AIEE. He died in Schenectady in September 1979. This page was last edited on 15 February 2019, at 18:22.